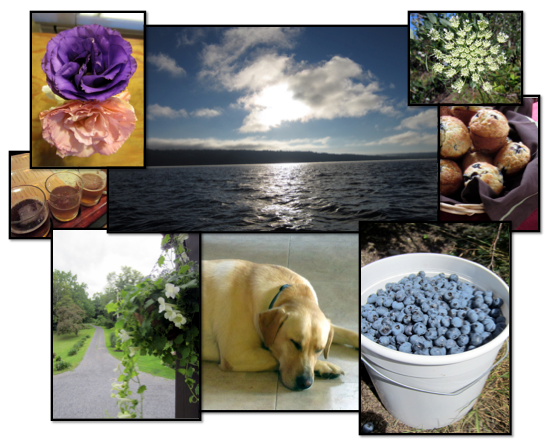 I strongly recommend a few wonderful things that I happened to do in Ithaca this past weekend. I had a Daddy-Daughter date while waiting for my car’s new tires to get aligned, and let me tell you, the burritos are killer! 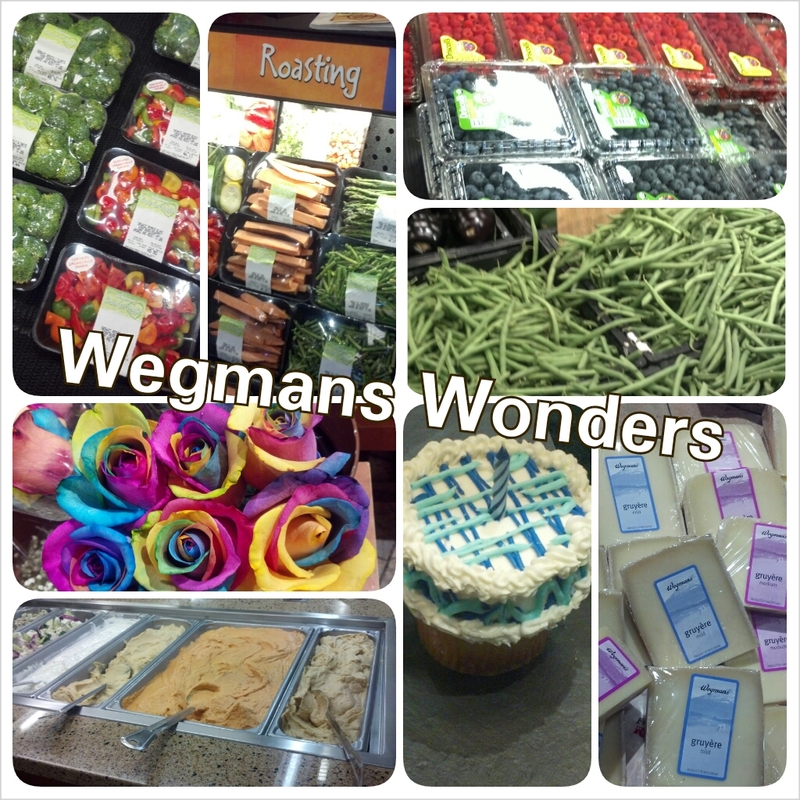 My love of Wegmans is no secret. This place is magical . . . I mean, rainbow roses and a hummus bar? Where can you go wrong? I can’t wait until these abound in Massachusetts! 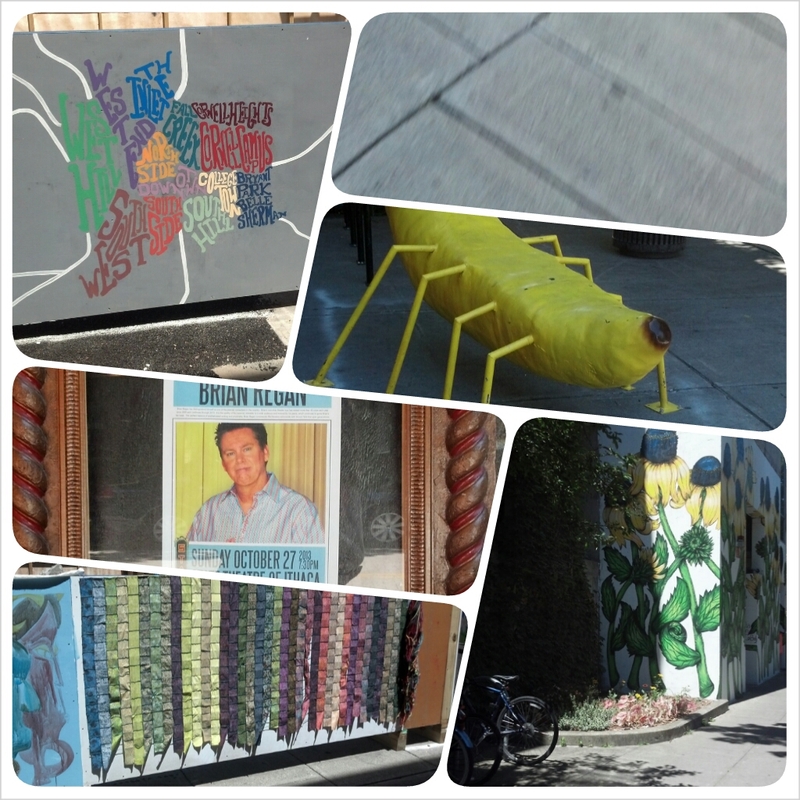 The Commons is currently under construction, so there are lots of temporary community art projects everywhere to spruce it up! Even if that wasn’t a draw though, there are loads of fun and quirky shops down there to explore!!! 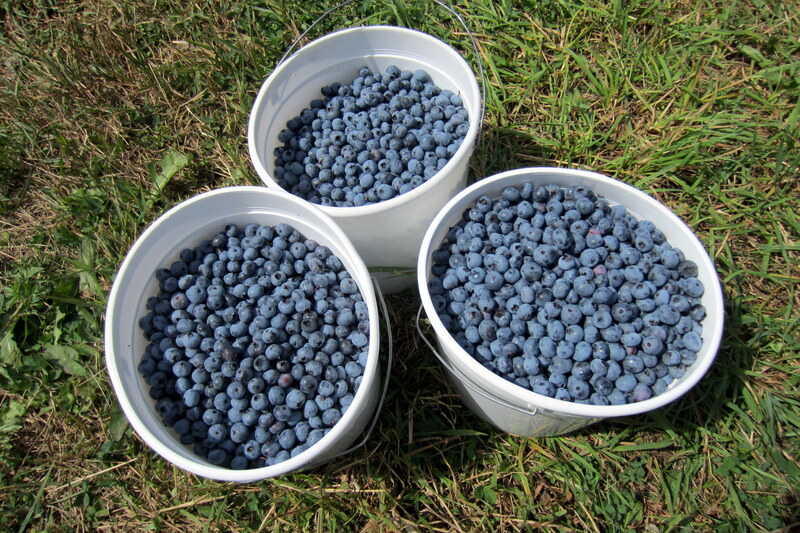 I have picked blueberries at this farm for as long as I can remember, and they are always delicious! It’s also quite a lovely rural setting. 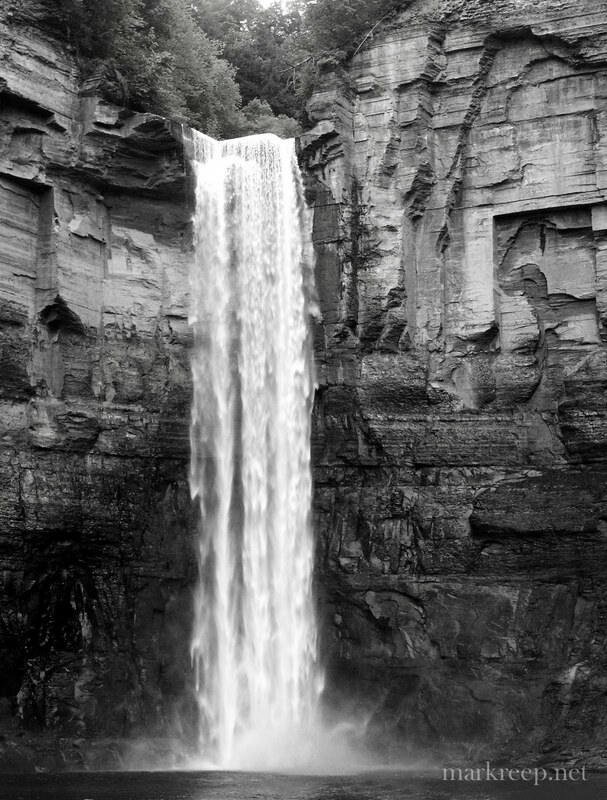 There are just tons of waterfalls in Ithaca, and this is the one that is closest to my house, Taughannock Falls. One of my favorites, though, is called Lucifer Falls, which is found at Upper Treman State Park. This is the best place to find local color, beautiful artwork, delicious fresh bread, baby kittens, flowers to make you swoon, cambodian stir fry, mountainous ears of corn, artisan earrings, hand-painted pottery, and other generally fun shopping. Little Known Fact about Abigail/Cakey: my first non-babysitting job was directing traffic at this Farmer’s Market. Yup. Glamorous. They also have insanely good ethnic foods on site. Oh, and I once had the best Tapioca pudding of my life at the Farmer’s Market. No joke. 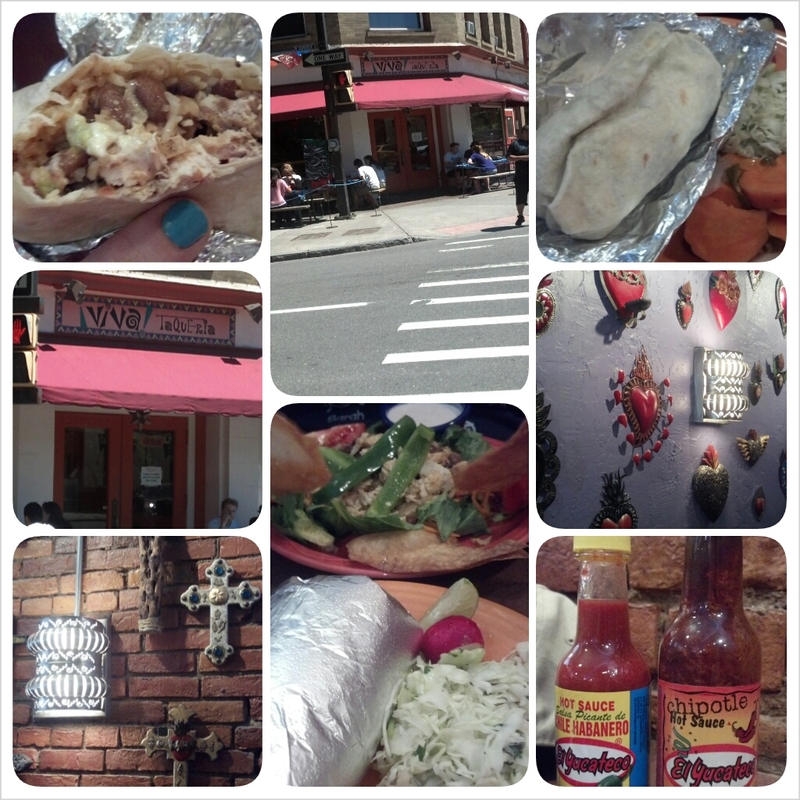 Usually, a trip “home” to Ithaca, NY means a lot of beautiful experiences, and this long weekend trip was no exception! 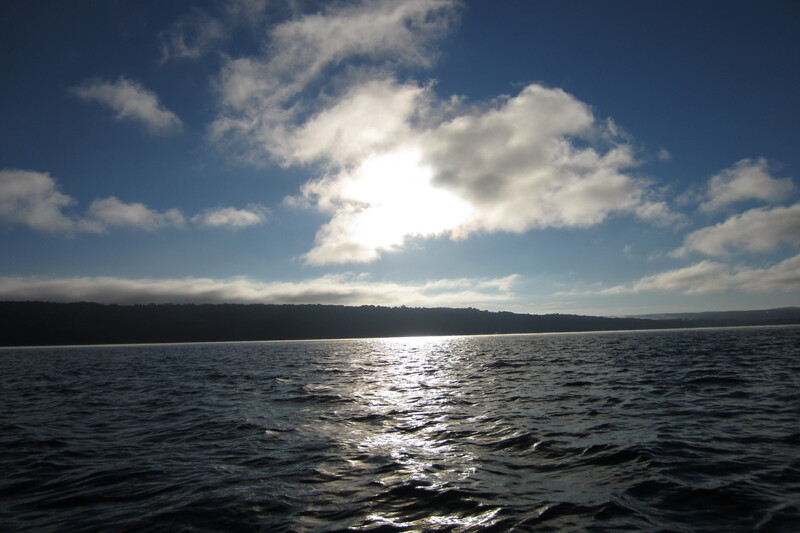 From sunrise on the lake (with Dad in a fishing boat!) to blueberry picking with Mom to local beer-tastings with dear old friends, this past weekend had a lot of lovely moments.
. . . getting home turned out to be a bit more of a pill than usual. On the usually 5.5-6 hour drive home, I got a flat tire. Then I got another one. Lets just say by the time I got home, it was a good 12 hours after I’d begun driving, and I was new-best-friends with a lovely woman named Deborah at the Honda dealership in Oneonta, NY. Four tires later, our local mechanics let me know that I ALSO happened to have a little issue with my break pads. . . a little issue with the fact that they were 90% worn away. Woof. Thankfully, I have a father who is a genius with car maintenance of all kinds. Determined to gain myself a new skill, I decided to learn from the master (Dad) and DIY the heck out of this task. I am going to share my newly acquired skill, but you should know that I will be doing this in completely non-technical terms, which only befits my actual skill-level. First, we assembled the tools needed. 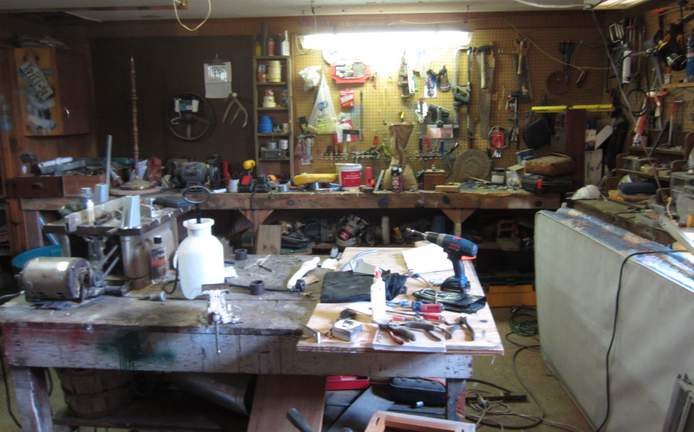 My Dad has an incredible (and incredibly disorganized) workbench (as you can see in the picture above). This is like the Room of Requirement for people who need to work on cars. Inside, we (ahem: Dad) found everything we needed for the job ahead. That would be (from left to right in the picture below): a ratchet wrench, a screw driver (not a phillips-head! 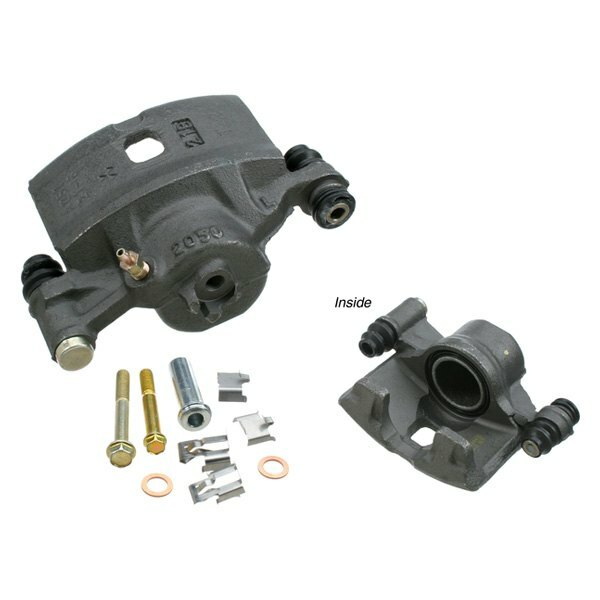 ), a C-clamp, some Caliper grease, a set of wrenches, a few different sets of ratchetty-top-things. Not pictured: we also used a hammer-wrench (to get the bolts off the tires easily) and a big jack (to hold up the car). At this point, use the C-clamp to push the compressor piece back in on the caliper. See the pushed-out thing below? 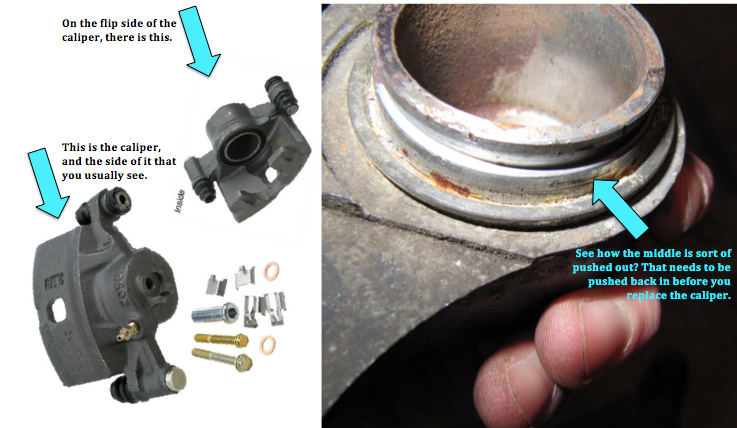 Just make sure the C-clamp is placed inside the caliper, not on the rim anywhere (because if it is on the rim, then you will wind up bending this piece of the caliper and the breaks won’t work as well.) 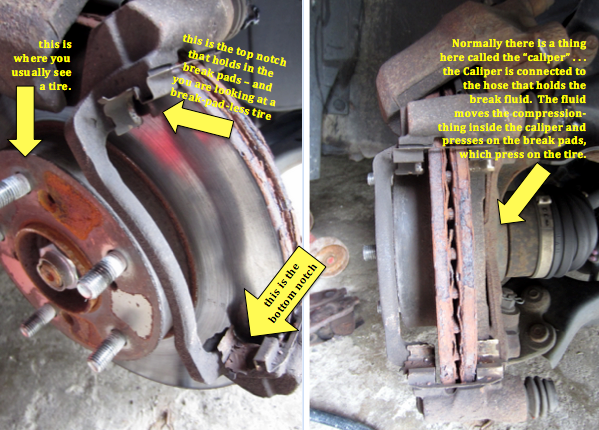 Once that is pushed in, then you are gonna want to prep the new brake pads. 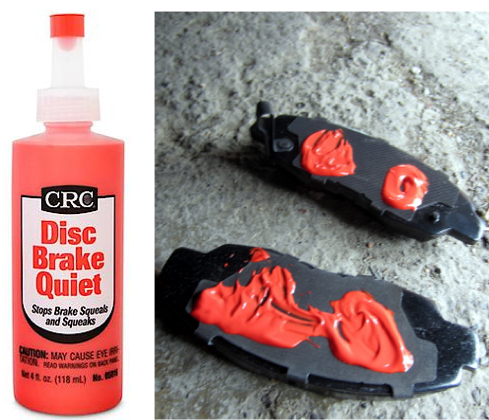 This involves taking something called Disc Brake Quiet (or, as I like to call it: Red Goo), and putting some (not too much) on the two outside parts of the new brake pads that are going to touch the caliper. This will keep the brake from squealing or making any unhappy noises. 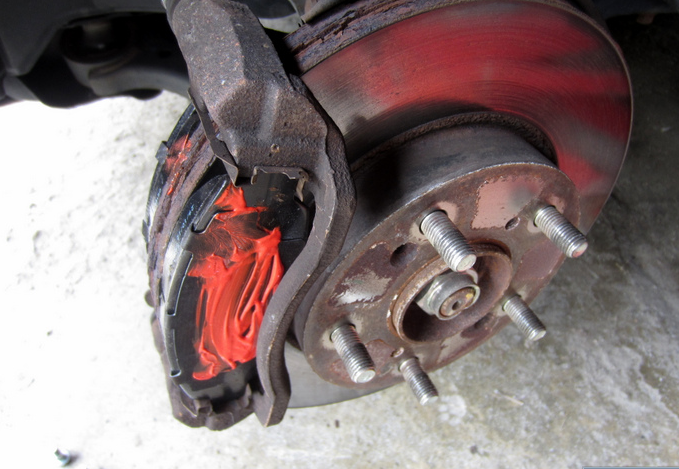 Then, with a little care to not get red goo on yourself, you slide the new brake pads into the notches we saw earlier, red goo side facing out, and then all that remains is to screw the caliper back on nice and tight (with your ratchet wrench!). The last step, once the caliper is re-attached, is to put the wheel back on and take your baby for a test-drive! Be sure to hit the brakes hard a couple of times, just to make sure you did it correctly! Oh, and remember to congratulate yourself, because you just saved yourself some money and learned to change your own brake pads!!! Maybe you think the excitement/exclamation points are a little ridiculous. Hamlet is not exactly the most positive story in the Shakesperian repertoire. You know not what it is? Well, ALLOW me to introduce you to a whole new world of Hamlets. That’s right! 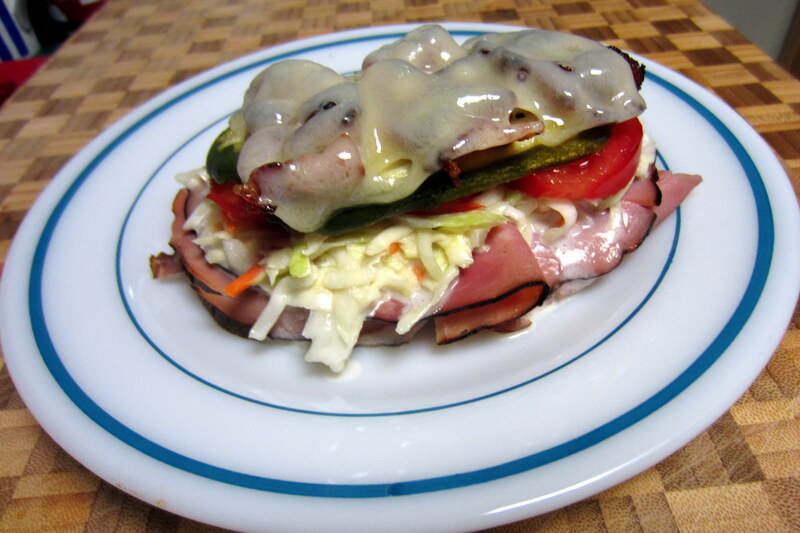 Hamlets are (drumroll please) MY ABSOLUTE FAVORITE SANDWICH!
. 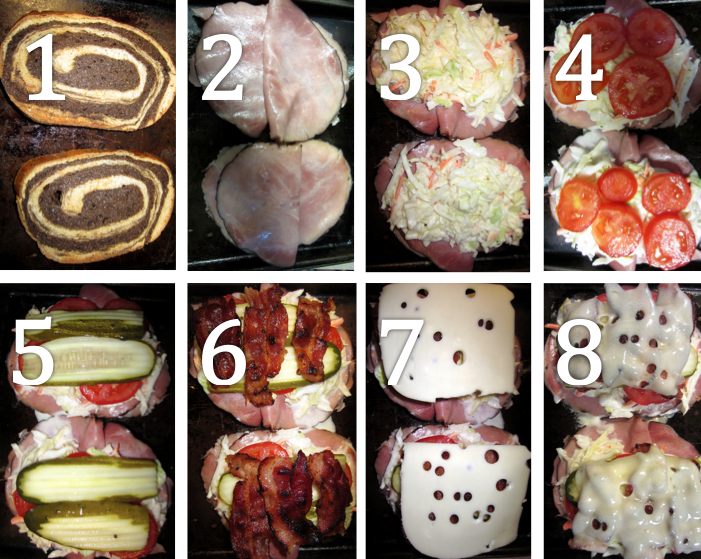 . . this sandwich. Now you just layer it all!!! Please note, step #8 involves broiling for a minute. . . or putting it in the oven for about 5 minutes at 350 degrees Fahrenheit. Once it is out of the oven, you just ENJOY IT in all of its glorious mess! Which, ironically, is how you enjoy the play as well, if you really want to know. Occasionally, my sweet tooth hits an insatiable level, as I’ve mentioned before. In those moments, when my sugar cravings are hulking out, I have been attempting to enjoy sweet treats that have some redemptive scrap of nutritional value. Having finally wearied of turning on the oven to bake chick-pea based cookies (which are still delicious, by the way), I decided it was time to look into a no-bake option – it is summer after all. Mix everything but the oats and coconut in a saucepan over medium heat, stirring regularly, until it is one smooth, melted-together consistency. 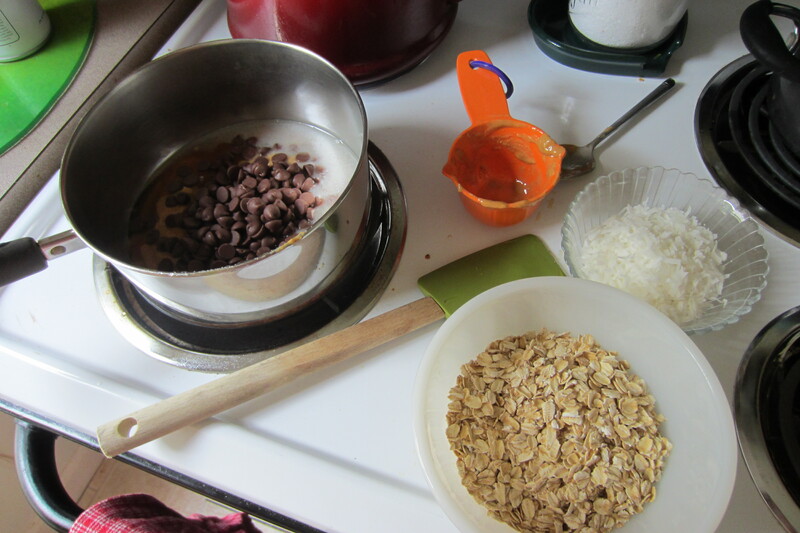 Add in the oats and coconut and stir it up. Then scrape the whole gooey mixture into a pan that you have lined with tin-foil and non-stick-sprayed as much as possible! 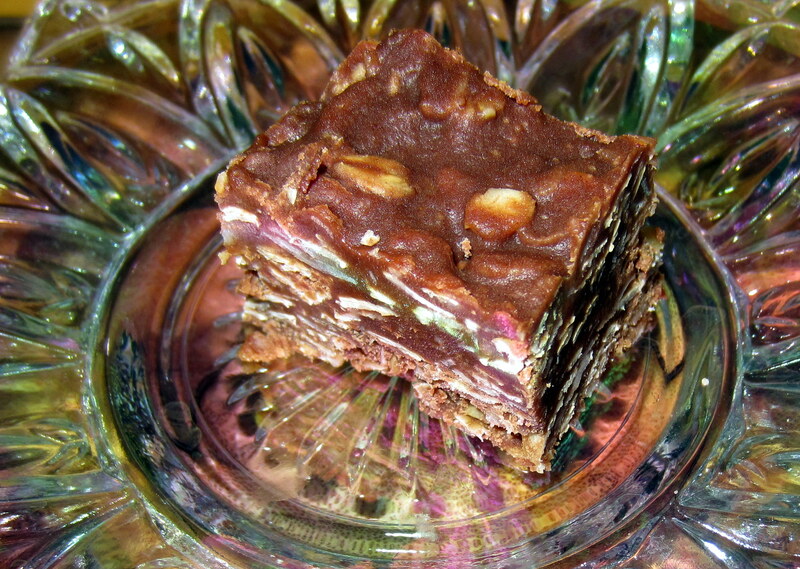 Throw this into the refrigerator to set before you slice them up! When they are done, slice them up and enjoy! Just remember to store these suckers in the fridge or they will melt! It is probably worth mentioning that these are by no mean low-calorie. . . which is why the “healthy” is in quotation marks. HOWEVER, they have no butter, no straight sugar (except in those chocolate chips, I’m sure), no processed oils, and (probably arguably) some nutritional value (ahem: oats and protein, man). SO . 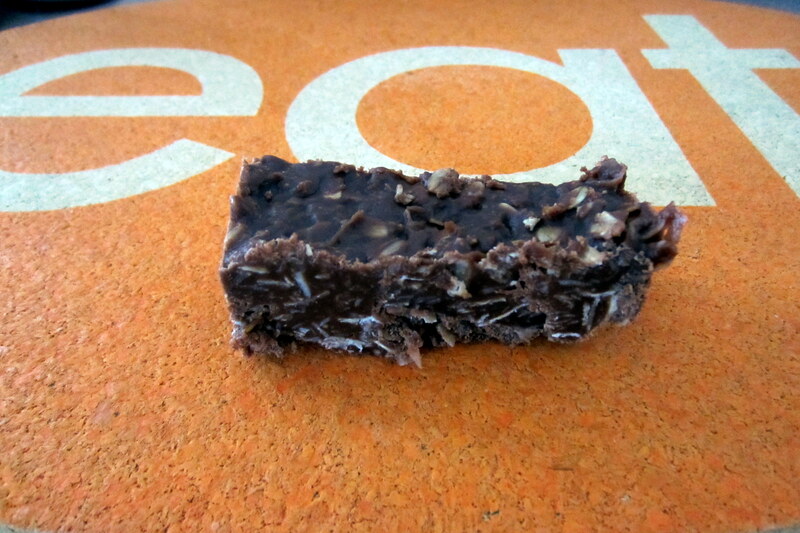 . . while not exactly guilt-free, probably better than your average candy bar, yes? Today, after hearing Elvis’s The Girl of My Best Friend on my way to work this morning, I have decided that Jessie’s Girl is totally a rip-off. Seems a little fishy. 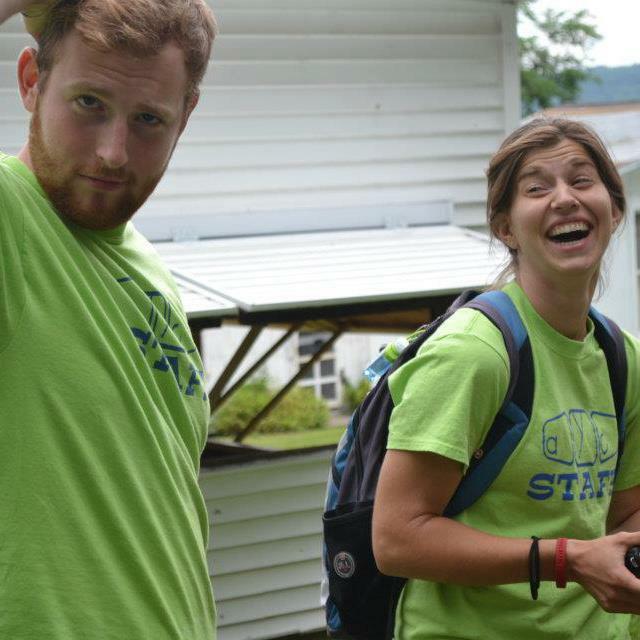 Maybe it’s not all that uncommon to be in love with your best friend’s girlfriend, though. If you really want to go to the source, click here, because they are the experts who really know what they are doing (at least, comparatively), but feel free to follow my meager attempts as well! 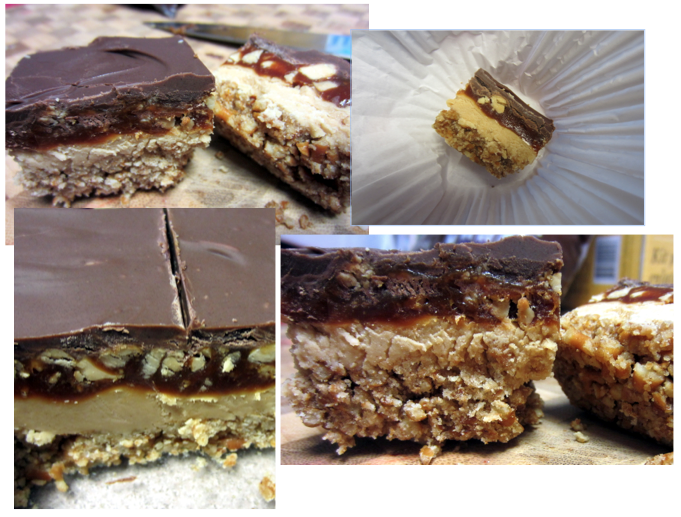 You might notice that I cut every amount in half to make a half-batch. . . but I’m giving you the original figures, because I don’t want to say “half of a third of a cup” like 5 times. Crush up pretzels so that you have 2 cups. 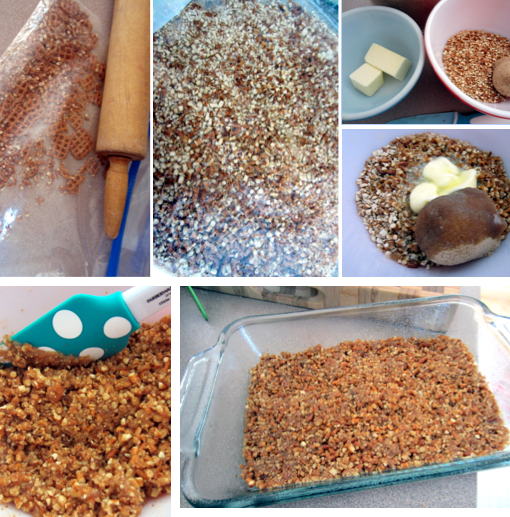 Then mix the crushed bits with 3/4 c. melted butter and 1/2 cup light brown sugar. Bake this at 350 for about 10 minutes. 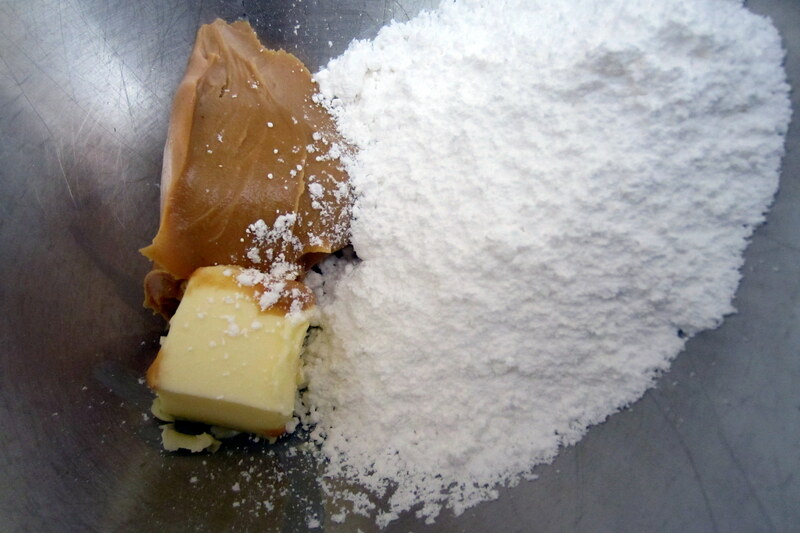 Mix together one half cup of softened butter, 1 cup of creamy peanut butter and 2 cups of powdered sugar. Spread the resulting peanut-buttery fluffy stuff over the cooled pretzel crust. In a pan, put 1 and 1/2 cups of white sugar, 2 Tbsp light corn syrup, 1/2 teaspoon salt and 1/3 cup water. Don’t stir it, but DO stick a candy thermometer in and make sure it reaches 340 degrees fahrenheit! 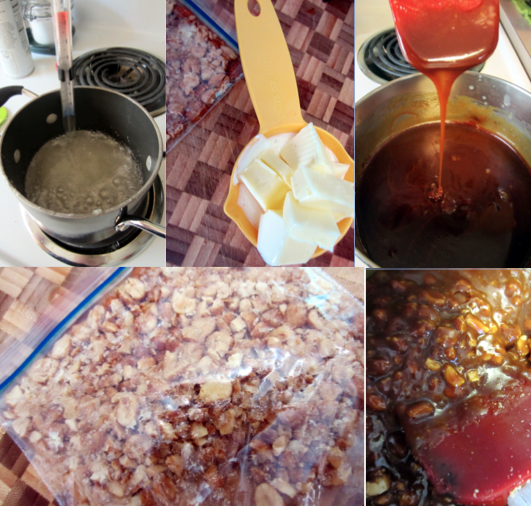 The sugar will just have started to darken/turn caramel-y colored when it is at the right temp. This takes about 15 minutes. At this point, remove it from the heat and add 1/3 cup of heavy cream, 1/3 cup butter and 1 Tbsp. sour cream. Mix it until it’s all incorporated and then let it cool into lovely caramel. THEN, when the caramel is cool(ish) crush up about 1 cup of honey roasted peanuts and put those bits into the caramel before spreading those on top of the peanut-butter-fluffy-stuff layer. 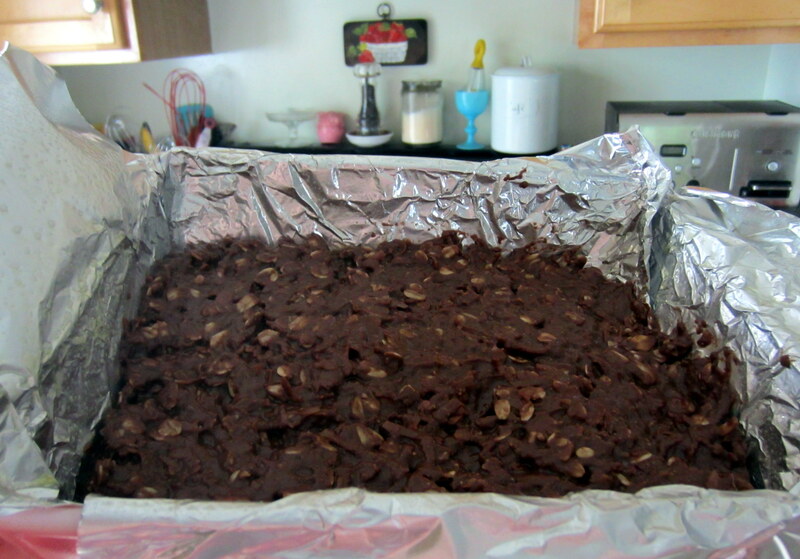 The final step is melting some (2 cups) milk chocolate for the top, which I do in a microwave because it’s easy. (Double boilers = twice the dishes, right?) I skipped adding the cream that the recipe called for, because I didn’t think it was really necessary. Spread the melted chocolate on the top and let it all cool in the fridge! All things considered? These are pretty darn tasty. Something about this summer is making me love the music of the sixties and anything chilled. I don’t really think there’s any great argument for sixties hits and cold drinks over any other era. . . but it really is quite a magnificent pairing. Don’t take me at my word, though! 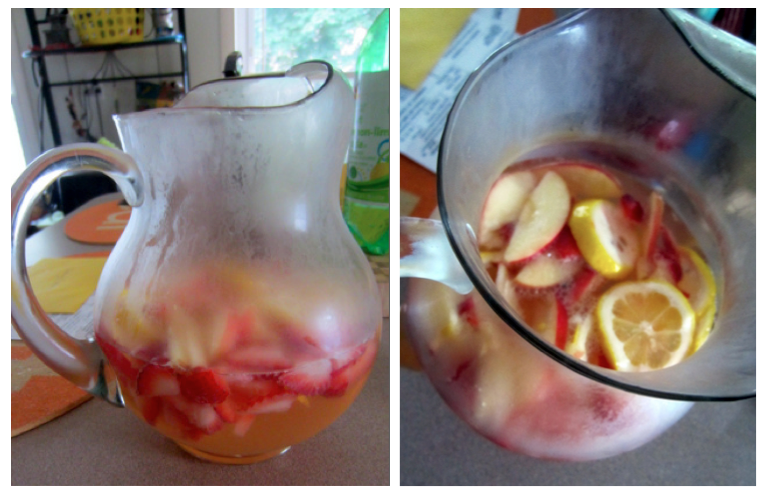 You should probably test my theory, make yourself some white strawberry-lemon sangria (like I just did!) and listen to Little Eva (above) and The Lettermen (below) with me.